The Poitou Charentes region of Western France enjoys more sunlight hours than almost any other region of France. No surprise then that this area is so popular as a holiday destination. 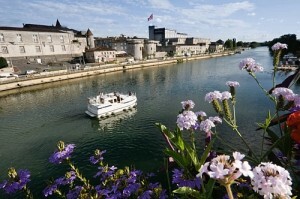 This is a land of sandy beaches, pine forests and green meadows, cognac vineyards and Romanesque churches. 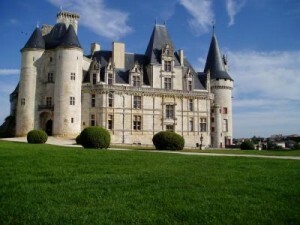 Considering a family holiday in this area of France? Good choice, there is plenty to occupy children and adults of all ages. There are also several holiday home possibilities in the region to suit all budgets. Looking for a romantic short break away with your significant other? Yes, the Poitou Charentes is a good choice for you too. I know of the perfect little hideaway for your break away. So what’s it all about? What are the attractions? Most people have heard of the Futuroscope theme park just North of Poitiers in the Poitou Charentes. Then there’s the amazing and very popular Puy du Fou theme park. Its stunning historical reenactments receive rave reviews and are great entertainment. But have you heard about the zoos in the area such as the Vallée des Singes monkey park south of Poitiers? But maybe a day at a water park is all that you and the family wish to do on a hot summer’s day. 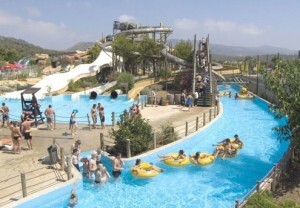 Head for the Oceanile water park at Noirmoutier which provides a day of fun for all the family. Children will also love getting lost (or do parents enjoy losing the children?!) in the maze at le labyrinth Vegetal. This corn maze) is 45kms South of Poitiers near the monkey park will entertain you for an afternoon. 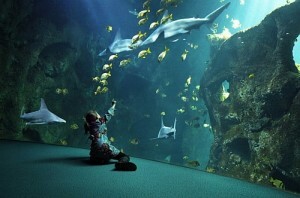 But if the weather is not playing ball, head to the sea life centre at La Rochelle, voted by children as one of the top attractions in the Poitou Charentes. If you don’t want to take your bikes for the whole family away on holiday with you, don’t worry, you can always hire them from Bike Hire Direct. There are miles of quiet country lanes in the area to explore and cycling possibilities for all the family. 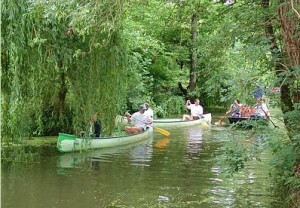 Le Marais Poitevin is otherwise known as la Venise verte or “Green Venice”. It’s an area of the Poitou Charentes that you really must visit on your holiday. It’s an area of slow moving rivers and channels, fields and woods which cover much of the sea-level flat land inland from the coast. Here you can enjoy boating and kayaking, angling, rambling and riding and even cycling. There’s an excellent network of marked cycle tracks in the Marais Poitevin too. 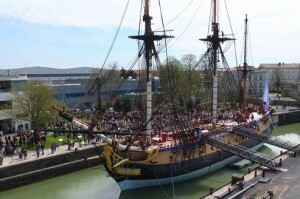 The Poitou Charentes region has much to offer those looking for a bit of culture and history during their short break to France. For starters, it has one of the richest heritages of Romanesque art in France. The ‘must see’ monuments or buildings include Angoulême’s Cathedral St Pierre and the towering belfry at Lesterps Abbey. Then there are the murals at Saint-Savin-sur-Gartempe, the west front of Church St Jacques at Aubeterre and the magnificent chateau at La Rochefoucauld. 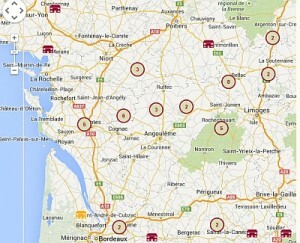 Let’s not forget Poitiers in the North of the region. It’s well worth spending a day exploring its fine architecture, medieval old town and great selection of shops and restaurants. The beautiful, wooded Saintonge area of the department is full of history and scores of fine old churches. It’s also an important centre of Romanesque architecture. 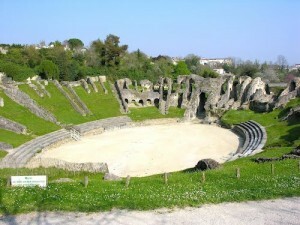 Stay at a B&B near Saintes and visit the remains of the Roman amphitheatre and see the Roman triumphal arch (Arch of Germanicus) in the town which is the former capital city of the area. Explore the more recent history of the Poitou Charentes region and in particular that of the Resistance movement which was very active in the area during WW2. Use a B&B East of Angouleme as your base and visit Oradour sur Glane. The town was the site of a terrible nazi massacre in 1944 and you can’t help but be moved by the memorial of remembrance in the town. Lastly, lets not forget Cognac – how could we! A twenty mile ‘golden circle’ produces the grapes that go into the Cognac production process. There are two main distilling towns, Jarnac and then Cognac, a picturesque Medieval old town with narrow cobbled streets and elegant Renaissance facades. The very air in the town is heavy with scent of ‘la part des anges’ or the angel’s share, a term given to the spirits evaporating from the old oak casks. Breath it in!